Preconditioning programs can vary greatly from one operation to another but share the common goal of preparing calves for the next phase of production. Photo credit Troy Walz. Preconditioning is not suitable for every production system, so estimating the potential gains and costs associated with a program is important. The benefits of implementing a preconditioning program include selling calves at heavier weights, seasonal price increase at the time of sale, and any premiums available for preconditioned calves. Another factor to take into consideration is the price slide associated with selling heavier cattle. Estimated costs of a preconditioning program include transportation, vaccinations, additional feed, death loss, and interest expenses. Additionally, it is important to evaluate whether you have the proper facilities, equipment, time, and labor needed to care for newly weaned calves. 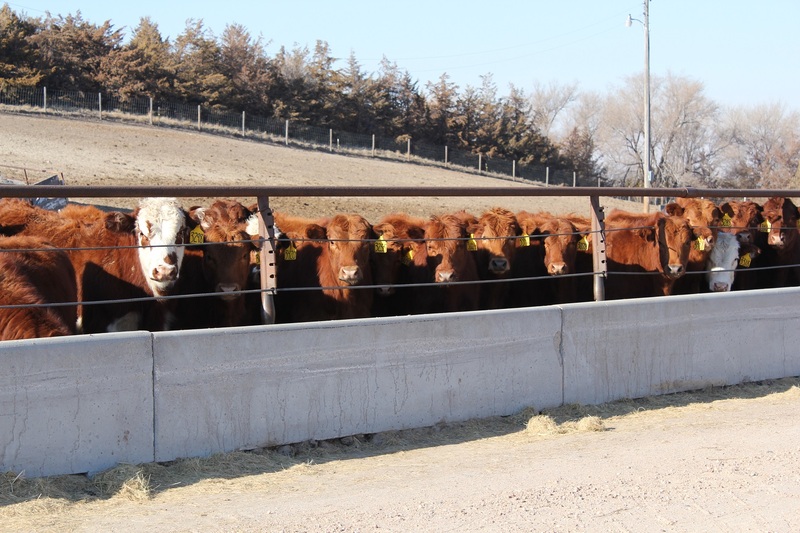 An example break-even analysis for calves in a 45-day preconditioning program can be found in the Nebraska Extension NebGuide G2248, “Economic Considerations for Preconditioning Calves for Feedlots". Whether calves are intended to enter a growing program or be placed directly in the feedlot, there is opportunity to add value to calves by implementing a preconditioning program. However, it is recommended to work with a local veterinarian, Extension personnel, and/or consultant to evaluate the economics of preconditioning and design a program specific to your operation.